Jews — especially those of Ashkenazi descent — might have a higher-than-average risk of breast cancer, but they also have an unmatchable asset to help them deal with the disease, according to some people who have teamed up to do just that: the Jewish community. The workshop, presented by Jewish Family Service of Central New Jersey’s Kesher outreach program, was cosponsored by Trinitas Hospital’s Comprehensive Cancer Center, and was made possible by a grant from the Jewish Federation of Central New Jersey. 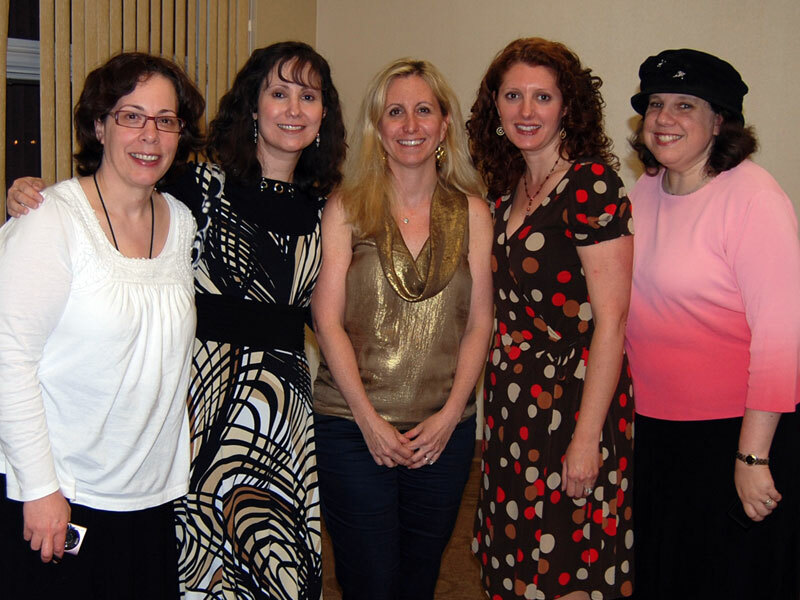 It was the first program offered by a coalition formed by JFS, Trinitas, and Sharsheret, the national organization based in Teaneck that was created to help and support young Jewish women with breast cancer and their families. They hope to offer half a dozen coalition programs over the course of the year in different parts of the county. Sharsheret means “chain” in Hebrew. As one of the speakers on May 24 said, while there is strength in connections, the goal is also to break a chain — the kind that holds people back unnecessarily, through fear or ignorance. The program featured two experts — Sherry Grumet, a genetic counselor at Trinitas, and Shera Dubitsky, the clinical director of Sharsheret. They were followed by two cancer survivors. Jessica Savitt of Elizabeth and Dana Richter of Westfield, who described their experiences with diagnosis and treatment. Grumet and Dubitsky cited statistics that show that one in 40 Ashkenazi Jews carries a BRCA gene mutation that can signal increased risk of breast or ovarian cancer. That is 10 times higher than in the general population. Everyone, they said, should gather as much information as they can on their family history — what illnesses have commonly occurred, and when and how relatives have died, so they can make informed decisions. As it happens, neither of the survivors who spoke fit the high-risk family profile Dubitsky and Grumet outlined. They stressed that anyone can get the illness, just as they stressed that many can beat it and go on to live normal lives. Jessica Savitt spoke first. The teacher and mother of three discovered she had breast cancer not long after a supposedly clear mammogram. Initially her doctor dismissed her concerns about the hard tissue and the twinges of pain she was feeling. It took persistence to get a diagnosis, and then a great deal more persistence to research all her options so she could pursue the most effective course of treatment. Savitt warned, however, of the dangers of over-researching. “You must, must get educated,” she said, “but there is too much information on the Internet. I drove myself crazy.” Weighing one undesirable, confusing choice against another, she was sometimes desperate for someone else to make her decisions. But, in the end, it was her own reading of information at the Mayo Clinic website that steered her to the choices that possibly saved her life. As tough as the experience was, Richter said, having cancer spurred her to make positive changes. She attributed some of that to the Jewish philosophy of self-improvement, “of taking something negative and turning it into something positive. It presents an opportunity for everyone to benefit,” she said. 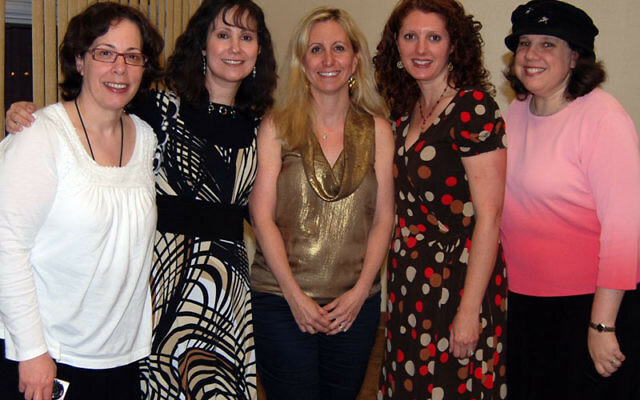 To find out more about the JFS breast cancer program, contact sbloomberg@jfscentralnj.org or call 908-352-8375.